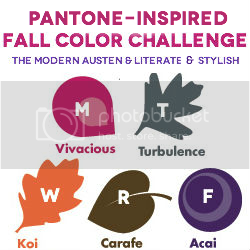 Today is the third day of the Pantone Fall Color Challenge with Heidi at Literately Stylish and Marissa at The Modern Austen and I failed quite convincingly. Koi is more of a subdued orange, almost a washed out color, but I only have a few orange pieces and I don't think any of them can be called subdued. 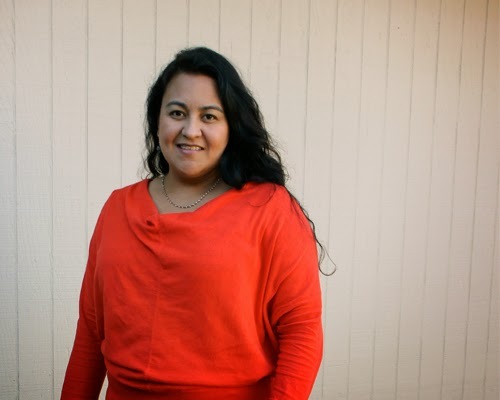 Instead, I choose this bright orange sweater and wore it over my new Banana Republic striped dress. If you are also wearing your Koi gear today, join the link-party here! I think this is a great outfit! You did a great job layering, I had no idea that was a dress and not a skirt. And your top looks really comfortable. How fun! 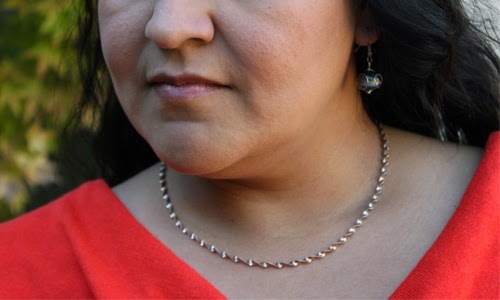 I love when people are unexpected with their layering and this is no exception. I love stripes with this bold color! 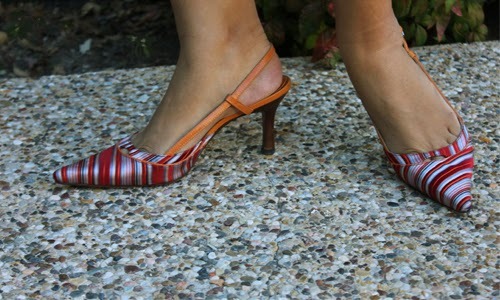 The orange-y red and the stripes work really well together - great combo! I actually really like this look! A lot! I think the sweater is so pretty, and it works so nicely over the dress (which I thought was a skirt at first). I'm new to wearing sweaters over dresses, but I really like the way it turns out!